Theatre includes: Flashdance (UK and International Tour); 27 Rise of a Falling Star the Musical (Cockpit Theatre); Some Words (Workshop); Cinderella (Qdos); Aladdin (Qdos) and Cinderella (First Family Entertainment). Television includes: Dancer in Strictly Come Dancing; Britain’s Got Talent; The Brit Awards; Children In Need TV and Jam Audio THE BOX Plus 4Music; Performed with Ellie Goulding, Raye, Misunderstood RADAR Music Week, numerous music videos for various artists; Model for BLOCH Fashion; Hollyoaks and BBC TV Drama Justice. 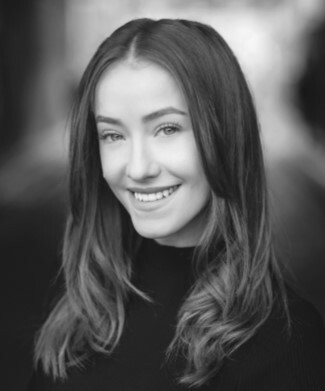 Emily is delighted to be making her West End debut playing Vicki in Everybody’s Talking About Jamie. She thanks her family & friends for all their love and support.